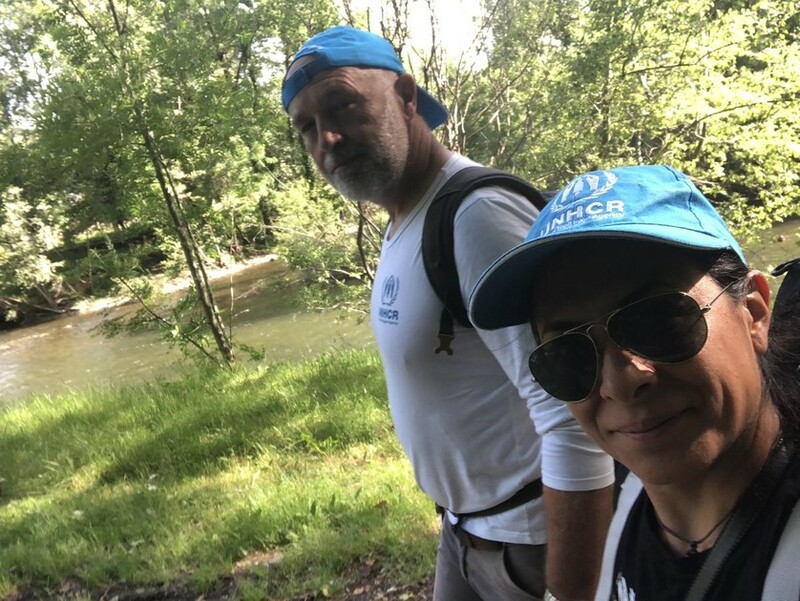 UNHCR web editor Tim Gaynor had Rohingya refugees in mind as he and his partner trekked across France on the Camino de Santiago. As the rain clouds gathered over southern Bangladesh, 65-year-old Khadija crumpled onto a tarpaulin on the ground in front of me. 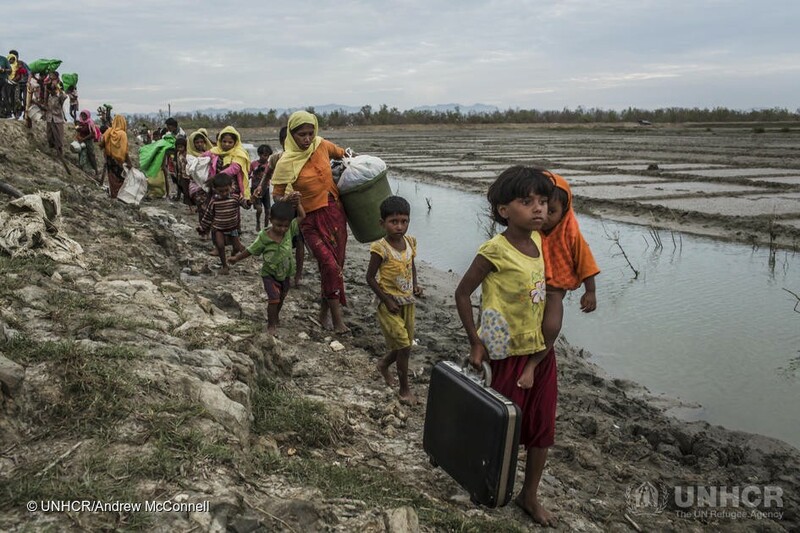 Like thousands of Rohingya refugees arriving in 2017, she had trekked more than 100 miles from Myanmar in search of safety, without food or shelter, utterly exhausted. 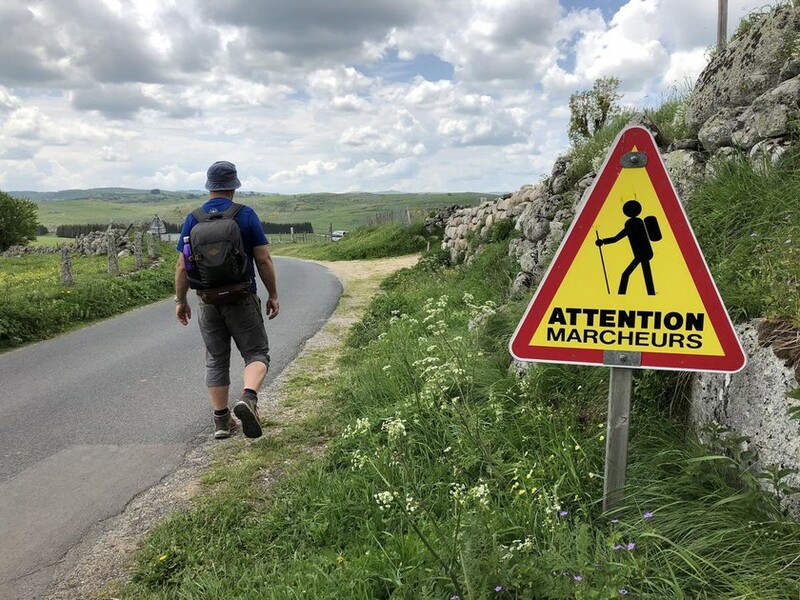 I had Khadija very much in mind when I set out on foot through France last summer with my wife, Renata, on a nine-day trek across the highlands of the Massif Central on the Chemin de St Jacques — the French Camino de Santiago. We had signed up to UNHCR’s One Billion Miles to Safety campaign, a global movement that honours the resilience and determination of millions of refugees like Khadija who have been uprooted by violence and persecution and make extraordinary efforts to reach safety. 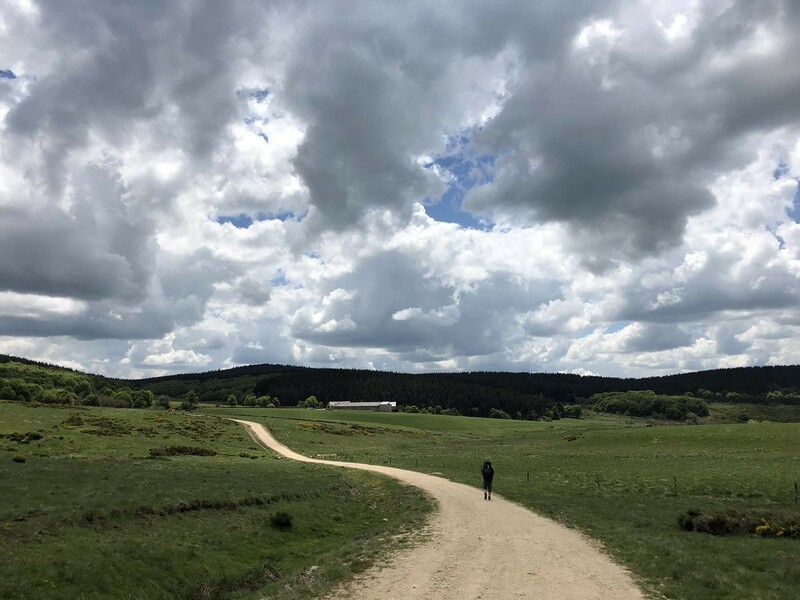 Our 128-mile trail took us from the volcanic highlands of Le Puy en Velay down into the Lot Valley, along ancient pathways carved by pilgrims and cowherds. We pledged each and every mile that we walked to the campaign total, thinking that it might give some additional focus to our vacation — and to our surprise, it really did. Refugees have lost their homes, and often their loved ones. At first glance there is little to compare a flight from danger with a trek for pleasure over gorse covered uplands and through medieval villages. Except of course it was there with every step we took. After 10–20 miles, our feet ached and our legs burned. When we took breaks it was often hard to get back up and pull on our backpacks. And it made us appreciate that we had clean water to drink, food to eat, and, of course, a safe, dry place to sleep every night, usually in a wayside hotel or guesthouse. This was really brought home to us when we tramped into one small village late on a Sunday under menacing thunderclouds. The only hotel, which we were counting on staying at, was shut. And then it started to rain. It looked like we might have to sleep out under a picnic table in the wet, without dinner — until a local woman, Madame Benjamin, offered us a room in her home for the night. A retired restaurant owner, she gave us a warm, dry bed to sleep in and a shower. With no food in the house, she borrowed eggs from a neighbour and cooked us an omelette. That simple gesture was huge. It showed us the real value of food and shelter, and brought me one step closer to Khadija. Join us by adding your kilometres to the global total. You don’t have to be on the Camino to do it. You can do it wherever you are. You can also protect refugees and help them to rebuild their lives by fundraising and sharing what you are doing.